Families are the vital partners in the social, emotional, physical and cognitive development of their children. Gads Hill Center seeks to develop meaningful partnerships though programs that promote family well-being, foster positive parent-child relationships, develop families as lifelong educations, assist in transitions, create connections to community, and develop families as advocates and leaders. Our Healthy Moves initiative trains adults to promote health and nutrition across our service area. 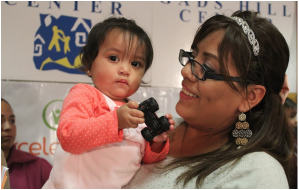 They connect families to Affordable Care Act health care options and nutrition benefits through SNAP. Gads Hill Center's health promoters also engage constituents on the benefits of healthy eating, maximizing nutritional content in grocery shopping and the rewards of physical activity. 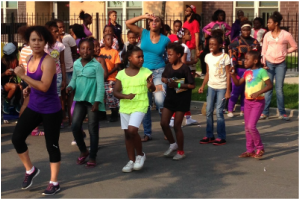 The PlayStreets initiative supports health and physical activity strategies by engaging Chicago communities featuring high rates of obesity and weight-driven disease. 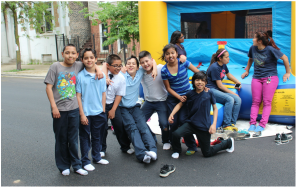 In partnership with the Chicago Department of Public Health and United Way of Metropolitan Chicago, Gads Hill Center implemented 75 PlayStreets events that temporarily transformed streets in communities throughout Chicago.